Forms are often a nightmare on mobile. We can make the process as pain-free as possible by reacting to context. Input fields that expect numerical values should have a numerical UI. 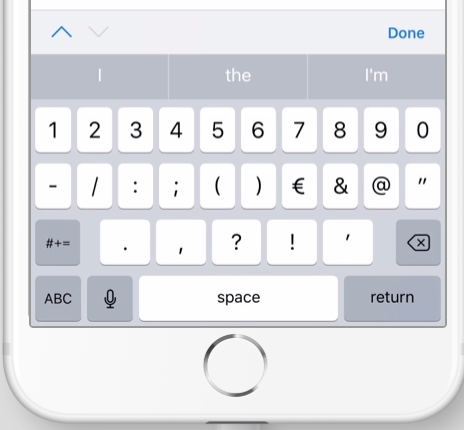 Bringing up a number keyboard on small screens is easy on most platforms — just use a <input type="number">. This big button numeric keyboard is finger-friendly and will help prevent users bouncing from your form in frustration. However, type="number" isn’t appropriate for all numbers. 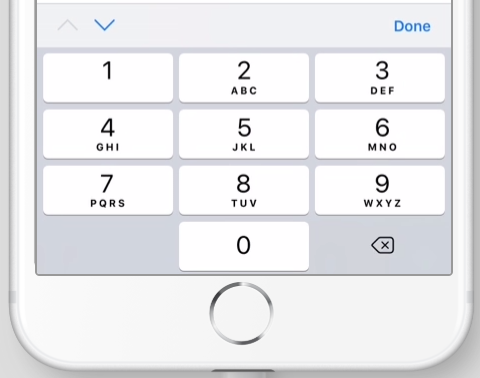 On (most) larger screens, number inputs come with an incrementer/decrementer button. It’s a useful piece of UI we get for free by default. It does, however, make this kind of input totally inappropriate for a credit card number, for example. The spec itself makes this clear. The type=number state is not appropriate for input that happens to only consist of numbers but isn’t strictly speaking a number. For example, it would be inappropriate for credit card numbers or US postal codes. A simple way of determining whether to use type=number is to consider whether it would make sense for the input control to have a spinbox interface (e.g., with "up" and "down" arrows). Getting a credit card number wrong by 1 in the last digit isn’t a minor mistake, it’s as wrong as getting every digit incorrect. So it would not make sense for the user to select a credit card number using "up" and "down" buttons. When a spinbox interface is not appropriate, type=text is probably the right choice (possibly with a pattern attribute). It’s important to note that this isn’t the only difference between a number and text input. You should definitely follow the spec on this point! Some older browsers will strip out leading zeros for number inputs which would be a big problem for US ZIP codes. The often-useful maxlength attribute is ignored on number inputs. yes yes yes! <input type=number> can finally die the fiery death it deserves! Why would anybody dislike such a useful input? The answer comes down to validation and using the input for the wrong thing. The number input performs input sanitization by default. If a user enters anything that isn’t a valid number, the value will be equal to an empty string — regardless of what the user can see on the screen. This input sanitization can trip developers up, and there’s no way to turn it off. If you want to allow input that isn’t a valid number, don’t use type="number". Number input in Chrome. This might be valid input for your use case, but it’s illegitimate in the eyes of the number input. numberinput.value // will be ""
This might not be what you would intuitively expect. However, if you follow the spec and only use the number input for what its designed for — actual numbers — this behavior is unproblematic. 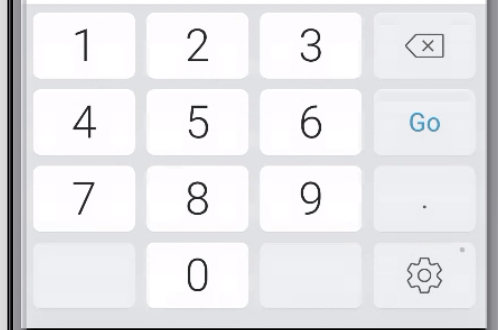 On iOS devices, using the pattern attribute with a value of [0-9]* will bring up the numeric keypad. This only works with this exact pattern — you can’t allow any extra characters. Bear in mind that an iPhone won’t let the user switch keyboard type when this keyboard is displayed. Make sure these are the only keys they need to fill in the input correctly. This gives developers full control of the mobile UI without any extra baggage. It makes the UI finger-friendly while being more versatile than the pattern attribute as we can allow any characters we like. It controls one thing — and one thing only. inputmode is a great solution for those cases when it's inappropriate to use type="number". Some people would go further and ditch type="number" altogether once inputmode has better support. I’m not convinced that’s wise, but type="number" can be problematic. errorMessage.textContent = "field must not be empty"
According to Google, users abandon purchases twice as often on mobile as compared to desktop. Sales on phones account for only one third of all completed online purchases. Clearly people don’t tolerate fumbling through badly designed forms and jabbing at tiny inputs. Data entry needs to be effortless. While browser support is currently low, we're only really waiting on mobile browsers. Desktop support is largely irrelevant. The input elements introduced by HTML5 are great, but they miss some edge cases. This can fill in some gaps. Thanks for this timely post! My team recent ran into this exact trap with using number fields, when we discovered another very problematic cross-browser issue with them: commas. Some browsers consider commas to be numeric, some don’t allow their entry at all, and in any case it becomes impossible to validate them with JS before the input’s .value property is wiped clear. I’ve been using input type = tel it accepts pattern parameters and pulls up the number keyboard inputs on mobile. Agreed, I checked the specs and it looks like it validates just like a text input does so I feel like this is the closest best solution at the time. The keyboard on mobile for type=”tel” has some phone-specific characters like #, but its not a bad solution until support for inputmode is better, even if it feels semantically wrong. It doesn’t seem to affect screenreaders in a negative way. What you think about input type=”phone”? Haven’t checked the latest best practices, but I’ve been using “tel” inputs as a number input replacement.